Firstly, the CG PET 2019 counselling will be held from First Week of June 2019 to the Third Week of July 2019 tentatively after the result declaration. Then, the Chhattisgarh Professional Examination Board conducts the counselling in three rounds and it will be done online. Further, those students who are able to qualify JEE Main and CG PET will only be eligible to attend the counselling session. Also, during the process of seat allotment, the documents of candidates will be verified. Firstly, the CGPET Results are declared in June 2019. 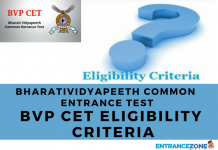 Candidates can download their result from the official website of CGPET, and Candidates need to enter the roll number and provide other necessary details and after that download the result for the counselling procedure for which the date will be announced. The counselling will begin from First Week of June 2019 and end till the Third Week of July 2019. The counselling schedule for engineering admission is yet to be announced by Chhattisgarh Professional Examination Board. How to fill CG PET 2019 Counselling form? Following are the steps to download Chhattisgarh Engineering Admission Counselling Form conducted by Vyapam Board. Firstly, the candidates need to register themselves online by filling the online application form. It has details such as domicile status, the name of candidate, password, date of birth, confirmation of password etc. Then, after the form is submitted online, a login ID will be generated for the candidates. Also, the colleges can be applied to using the login ID. However, the payment fee is Rs. 300/- as per official website http://cgvyapam.choice.gov.in/. Further, candidates must select the number of colleges and courses. Then, after the selection is done, click on ‘add selected options’. Also, the colleges entered can be modified. Finally, a printout of the registration form needs to be taken out for future reference. Moreover, the candidate needs to carry documents including domicile certificates, mark sheet of class 12th and class 10th, bank challan copy for registration fees, and online application form for verification. Further, after the documents are verified, the seat will be allotted to the candidates as per their rank in the entrance examination. Finally, the candidates are required to report to the colleges they applied for to complete the formalities and pay the fees. 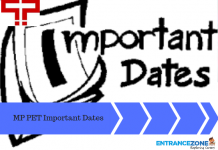 cg pet counselling 2019, cg pet official websitec, g pet counselling allotment, cg pet 2019 exam date, cgpet 2019.